Ever since I got my Cuisinart Ice Cream Maker*, I have been trying new ice cream recipes. 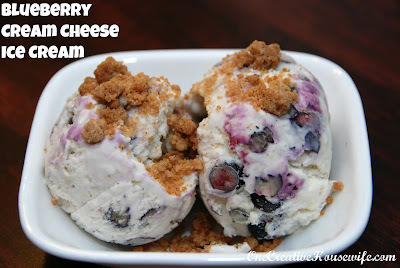 Recently I came across a recipe for Blueberry Cream Cheese Ice Cream from A Beautiful Mess and just had to try it! 1. In a medium bowl mix together the milk and softened cream cheese until smooth. 2. Add the sugar, salt, and whipping cream to the cream cheese mixture. 4. Pour into ice cream maker and follow manufactures' instructions. 5. 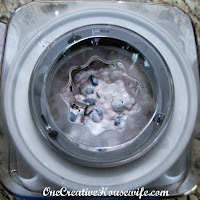 Add blueberries to the ice cream maker during the last 10 minutes of mixing. 6. Transfer to an airtight container and put in freezer to harden, at least 2 hours. Otherwise it will be more like soft serve ice cream. 7. Let ice cream soften about 5 minutes before serving. 2. 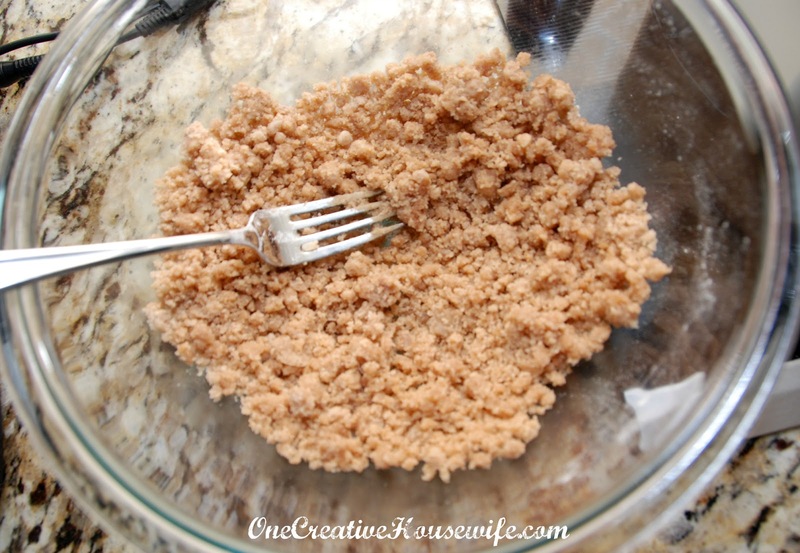 In a medium bowl, mix sugar, brown sugar, and cinnamon. 3. Pour melted butter into sugar mixture. 4. Mix until everything is moist. 5. Add flour to butter mixture and stir. Once everything is combined you should get little crumbles. 6. 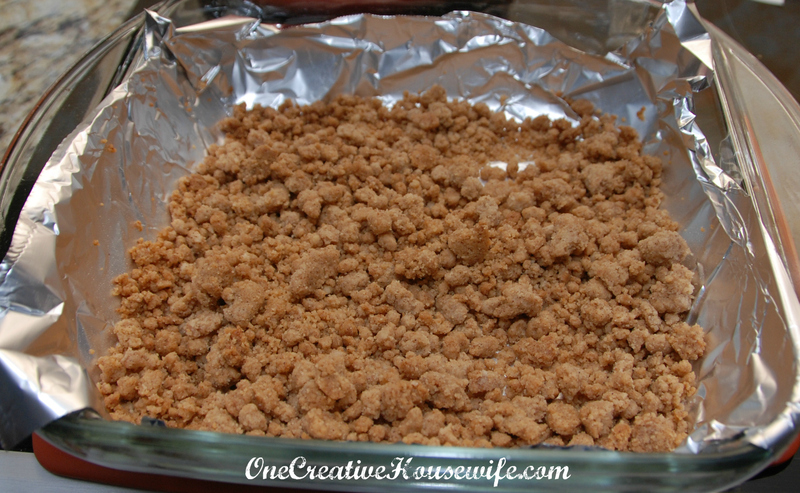 Place crumbs in a foil line baking dish. When serving ice cream sprinkle, with crumb topping. There are a few changes I think I will make when I make this again. First I would cook the blueberries on the stove to soften them a little. 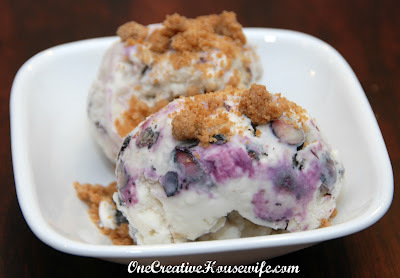 Second I would add the pie crumbs to the ice cream while it was still in the ice cream maker. When I make the changes I'll come back and update you on which way I like better.